Allows control of high intensity light from the helm station. Two high intensity 55 watt halogen lam..
360 degree rotation. 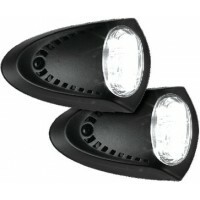 Dual lamp design provides redundancy, (lamp rated for 200 hours of use) reliabi.. Rugged high intensity light with a single 55 watt Halogen lamp. Optical quality reflector. Sweeps le.. Features a brilliant beam that can be seen for miles and easily pierces rain, fog and snow. The 12 f.. Complete kit includes two 55 watt lights with metal housing, rocker switch, wiring and easy-to-follo.. Corrosion resistant ABS housings and rims with matte black finish. Precision cast, hardened glass le..
Micro size allows these fog lights to mount anywhere; on a deck, on top of or hanging from a wakeboa..
Housing and rims contain 55-watt halogen bulbs with precision cast, hardened glass lenses and vapori.. 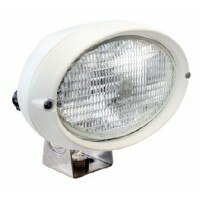 This 12V white light fits any application and gives all around light. 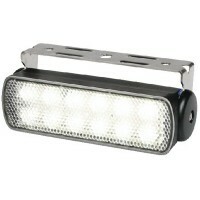 Designed to be mounted in exte..
For illuminating a large area for safe maneuvering around docks. 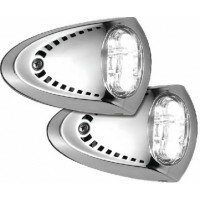 Surface mount, no large cutouts req..
Docking lights ss pair Pack: 1 prDescription: Stainless Steel Housing..
Docking lights white pair/pk Pack: 1 prDescription: White Housing.. Led sm dock lt blk p 1 pr/pk Pack: 1 prHousing: Black Powder Coat.. 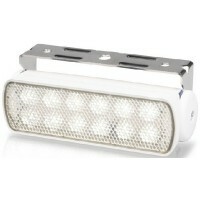 Led sm dock lt ss co 1 pr/pk Pack: 1 prHousing: Stainless Steel.. Features a UV resistant polyamide glass fiber reinforced housing. Stainless steel hardware. White ho..
Has an extremely sturdy housing with integrated external plug connector. 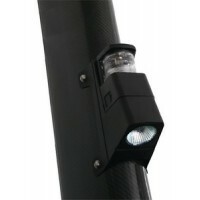 Free form deck floodlight w.. Designed for easy installation and use on all types of marine vessels from pleasure craft to large c..
Lamp deck 70mm led mv wht gen2 Size: 3.27 W x 4.33 H x 2.91 DVolts: 9-30Color: White..
Combo mast/deck led light blk..
White fiber reinforced housing and free form reflector for close range illumination. Sturdy housing ..
Sea hawk led spread blk hsg mv Size: 5.35" L x 1.93" W x 2.09" HType: SpreadHousing: Black..
Sea hawk led spread wht hsg mv Size: 5.35" L x 1.93" W x 2.09" HType: SpreadHousing: White..
Sea hawk led spot blk hsg mv Size: 5.35" L x 1.93" W x 2.09" HType: SpotHousing: Black..
Sea hawk led spot wht hsg mv Size: 5.35" L x 1.93" W x 2.09" HType: SpotHousing: White..
A remote control searchlight, developed with the 20 to 50' powerboat in mind. Easily replaceable hal..
A high performance searchlight for medium sized yachts, remotely controlled from the helm station. E.. Enables remote controls to be fitted further from the light than standard cables allow, and are need.. Easily replaceable 5" halogen sealed beam. 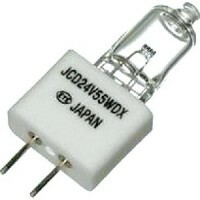 Sealed beam halogen lamp. Full 320° horizontal rotation, ..
Multi-purpose lights. Unique trapezoidal light beam from a specially designed lens gives excellent a..
7 searchlight chr w/tall base Description: 230, 000 CPAmps: 8.4.. 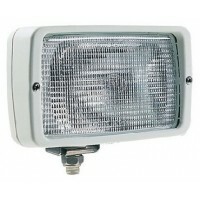 Remote control spot/flood light is capable of handling an array of tasks from locating buoys to illu.. 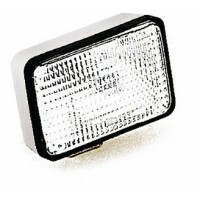 Par 5 12v sealed beam Description: 5" Dia. Replacement Sealed Beam, 100/50, 000 CPFits Models: 62022.. Par 7 12v sealed beam.. Par searchlight round control Description: Replacement Remote ControlAmps: ..
233sl 2nd control dual voltage Description: Wireless Second Control..
Includes two quartz halogen 55-watt lights, stainless mounting brackets, rubber bracket boots, safet.. Led docking light kit/ black Box: 2Housing: Black.. Led docking light kit/ white Box: 2Housing: White..
Cordless rechargeable spotlight with 6-volt, 4-amp battery and 55-watt quartz halogen bulb for ultra..
Nightblaster rechargeable spotlight system. Glare resistant, cordless, internal battery, includes bo..